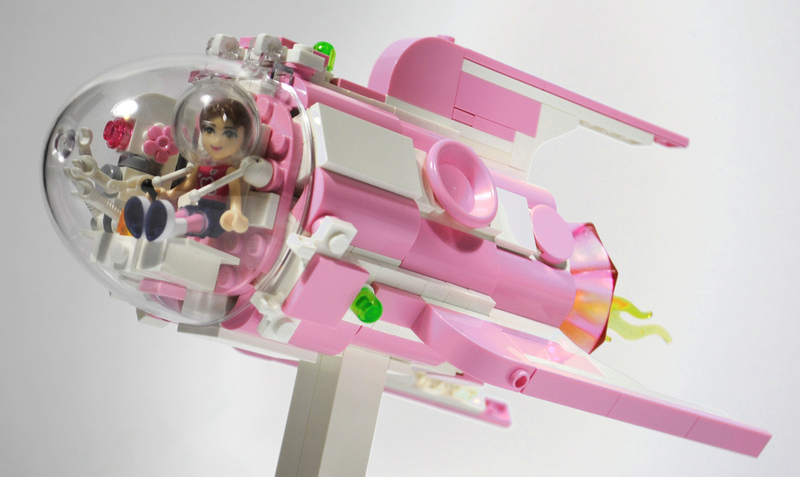 Some new photos and details have been released for the upcoming Lego Friends 2015. There are still two sets without any images released. Mia’s Sports Car (41091), and Unknown (41096). These official photos show off a lot more of the details of each set. For instance the Hot Air Balloon is made up of multiple pieces, which is great news. One thing is certain, there are at least as many pets/animals as there are Friends. 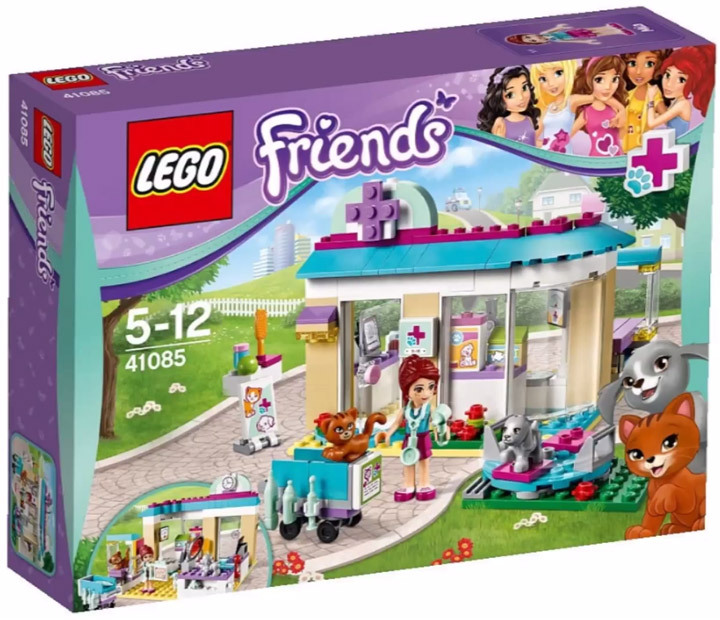 Lego Friends, Animal Care Clinic (41085) has a merry-go-round, a rolling medical station, and grooming area. 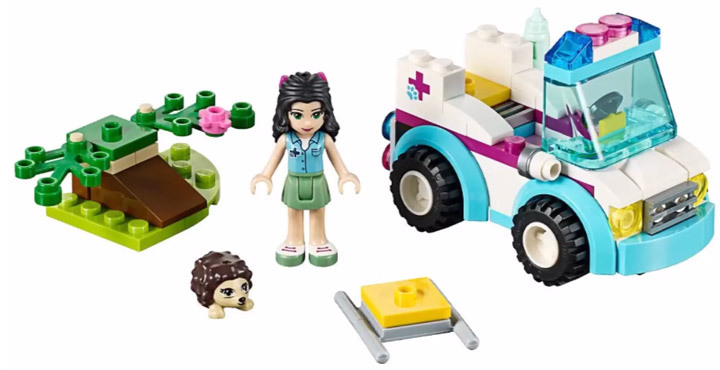 Lego Friends, Vet Ambulance (41086) has a little vehicle, tiny stretcher, and a hedgehog. 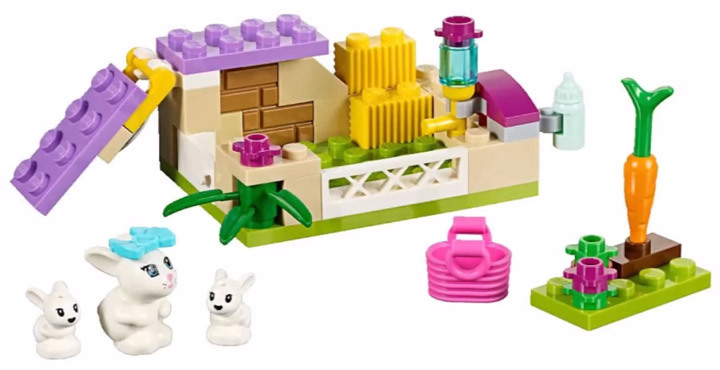 Lego Friends, Rabbit Mother with Babies (41087) features a rabbit habitat, and two tiny baby rabbits. 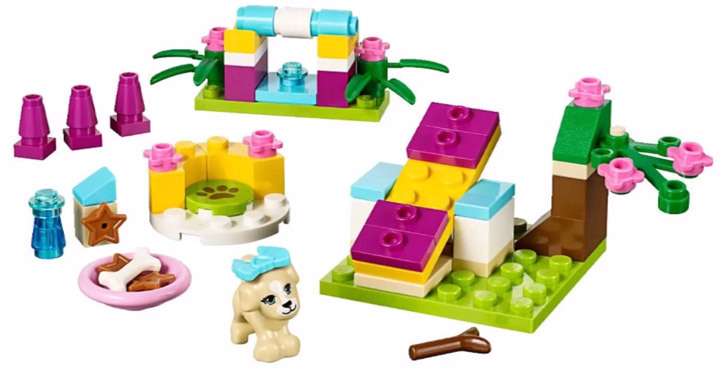 Lego Friends, Puppy Training (41088) comes with a mini dog agility course. 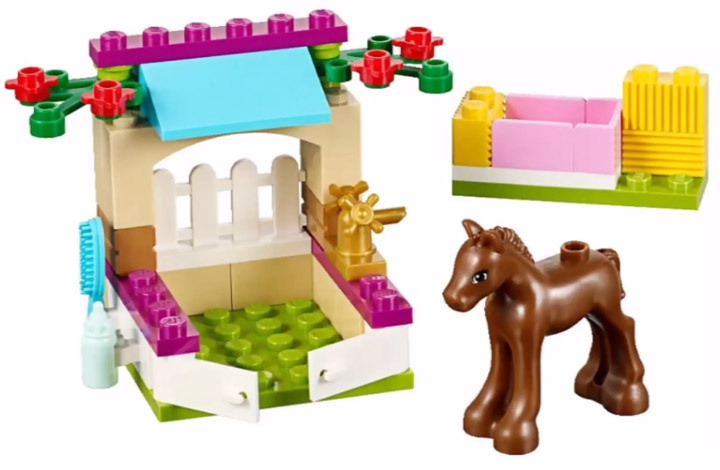 Lego Friends, Foal Care Stable (41089) comes with a baby horse (foal) and small enclosure. 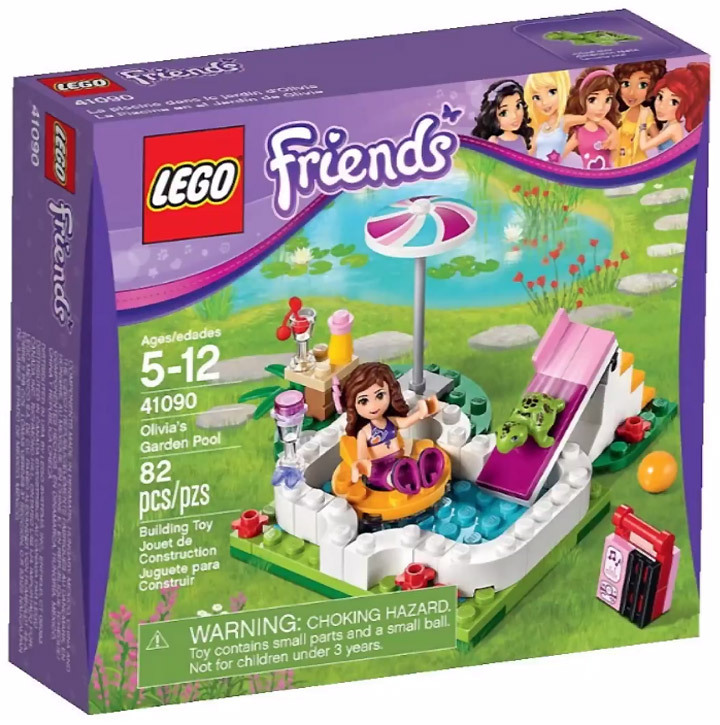 Lego Friends, Olivia’s Garden Pool (41090) has a floaty, portable stereo, and water slide. Lego Friends, Stephanie’s Pizzeria (41092) comes with a charming brick oven, and a table for two. Lego Friends, Heartlake Hair Salon (41093) comes with a fully furnished hair salon, and two Friends. Lego Friends, Heartlake Lighthouse (41094) is one of the nicest looking Friends sets, and doubles as an ice cream parlor. 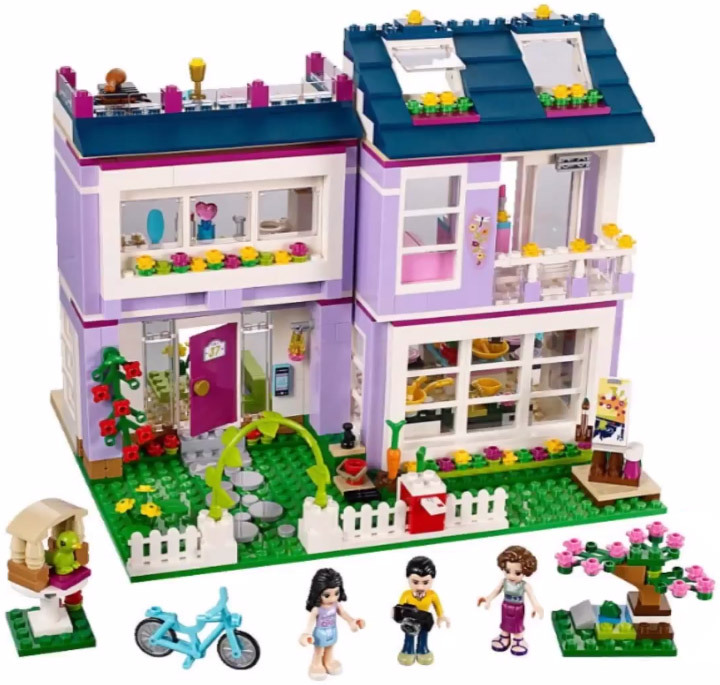 Lego Friends, Emma’s House (41095) is Emma’s purple two story house, which comes with an art easel, blue bicycle, and 3 Friends figures. 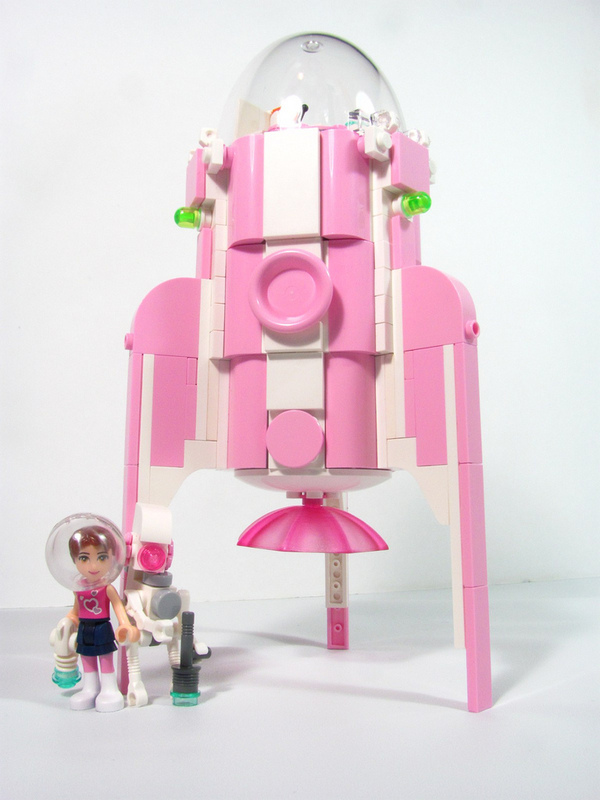 Lego Friends, Hot Air Balloon (41097) is going to be the hard to find set. The balloon pieces are very desirable for Lego fans, and the set comes with one of the rare male Friends figures. Thanks to Just2Good for releasing these early images of the first Lego Friends 2015 wave. Lego has a huge hit with their Lego Friends theme. It is quickly becoming one of their most important themes, right up there with Lego Star Wars, Lego Ninjago and Lego City. 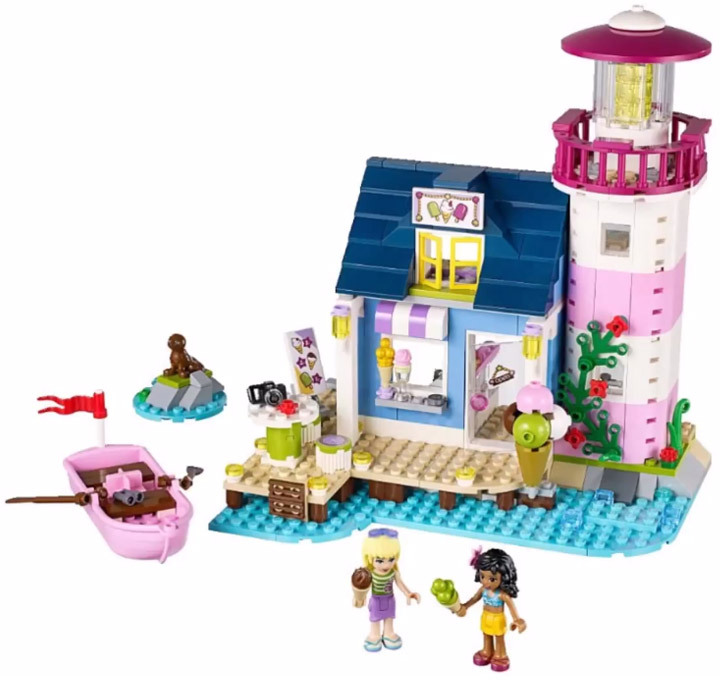 So it is no surprise that Lego Friends is getting its yearly update and the first new sets for 2015 have been revealed. This release is expanding Heartlake City. All of these new sets are great, with the Lighthouse, Hot Air Balloon, and Hair Salon standing out. 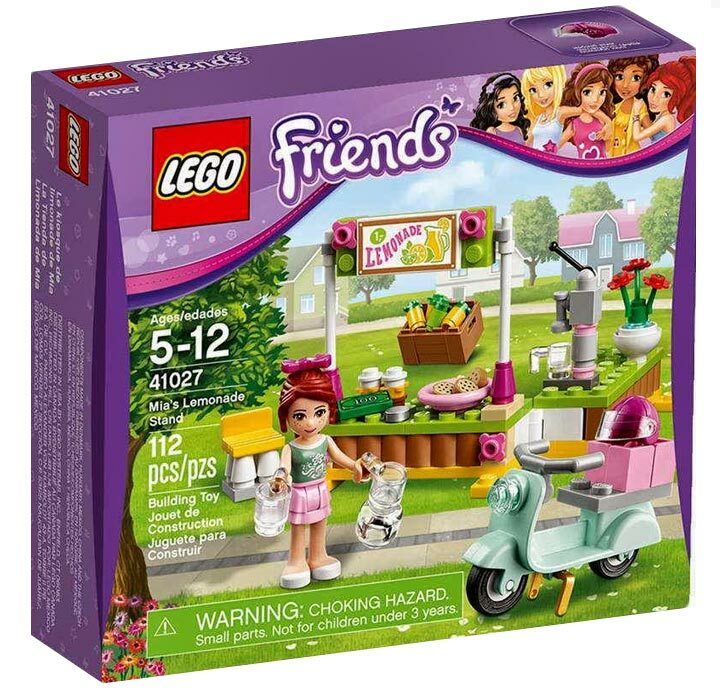 There are at least five Lego Friends 2015 sets where official images are still not available. 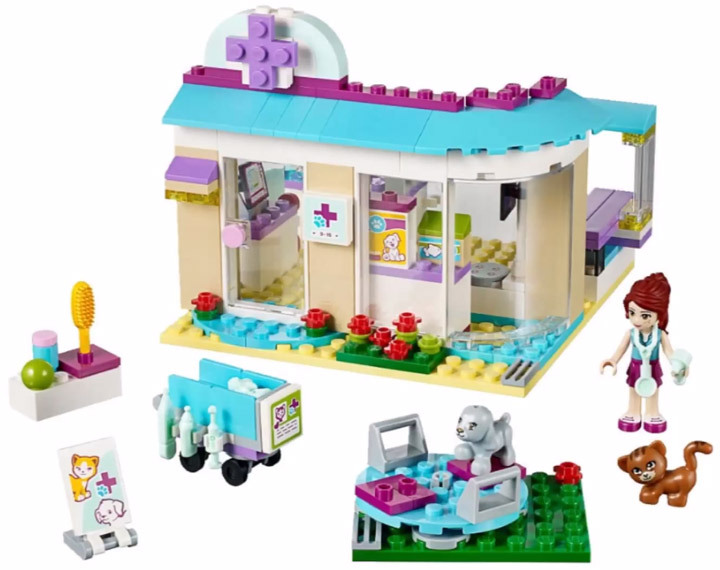 Lego Friends, Animal Care Clinic (41085) features a super cute cat and dog attending the vet. 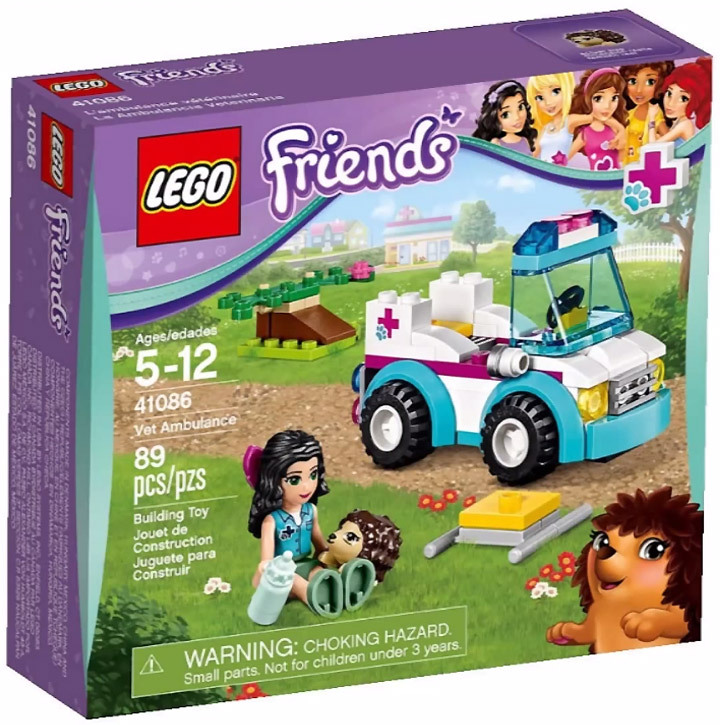 Lego Friends, Vet Ambulance (41086) is a companion set to the Animal Care Clinic, now the Vet can make emergency and house calls, plus it features a cute hedgehog. Lego Friends, Olivia’s Garden Pool (41090) is a cool heart shaped pool, perfect for summer afternoons. Plus it comes with a tiny turtle. 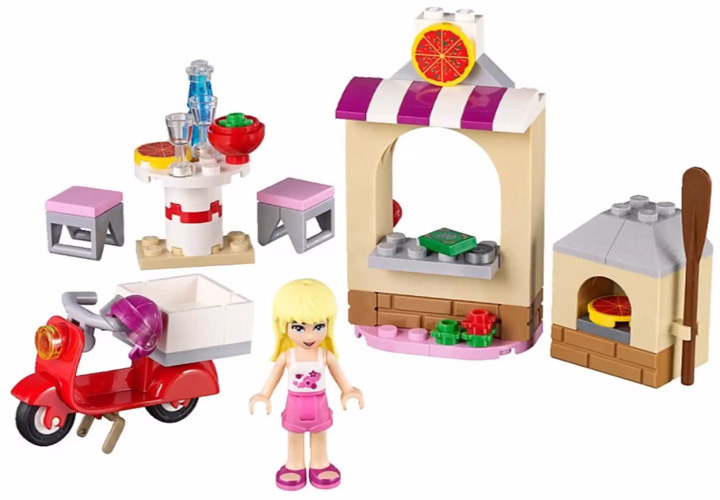 Lego Friends, Stephanie’s Pizzeria (41092) is a small pizzeria with a stone wood burning oven, and a cherry red delivery scooter. 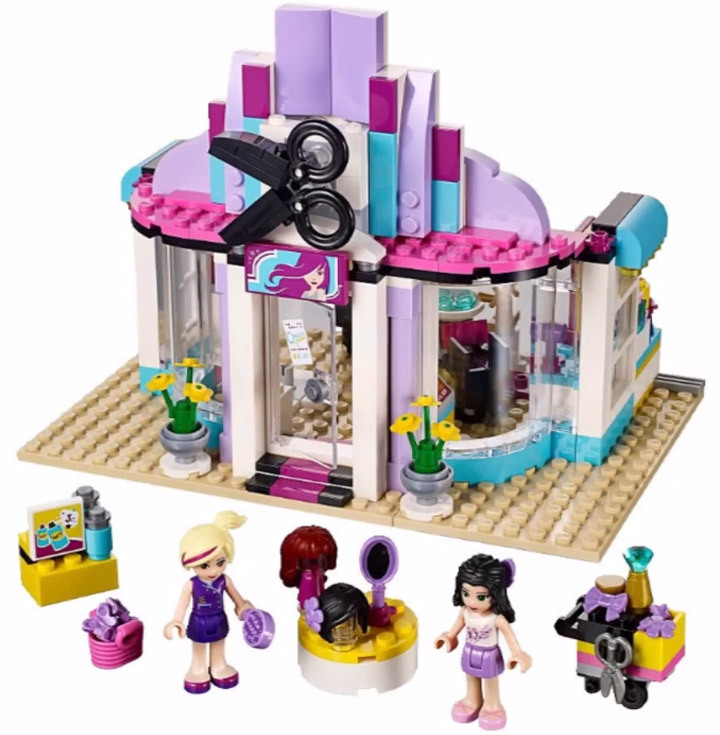 Lego Friends, Heartlake Hair Salon (41093) is a medium sized Lego set of a full hair salon. With various hair options, tiny scissors, and a really neat sign. 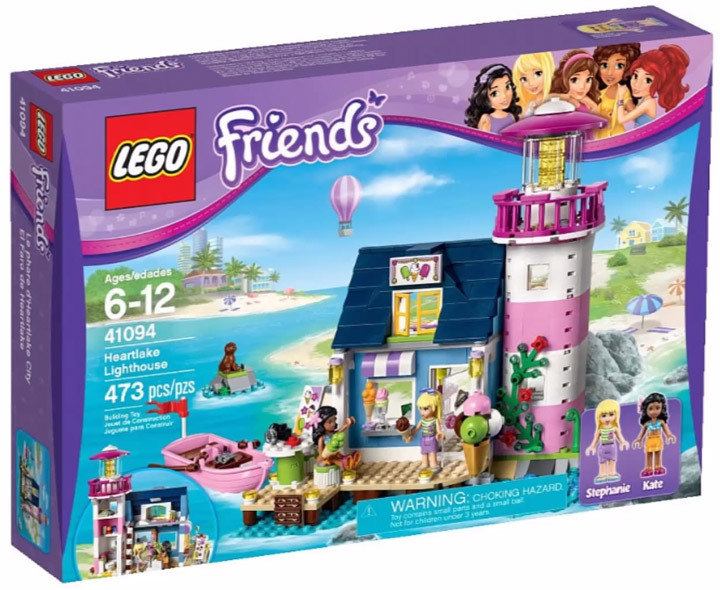 Lego Friends, Heartlake Lighthouse (41094) is the second largest set of this wave. With a fully featured lighthouse, rowboat, and ice cream parlor. 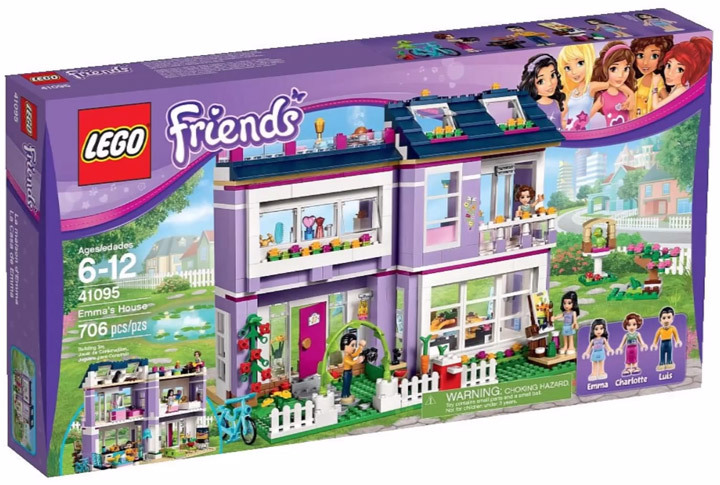 Lego Friends, Emma’s House (41095) is the big set, with a two story purple house, blue bike, and a little green bird. 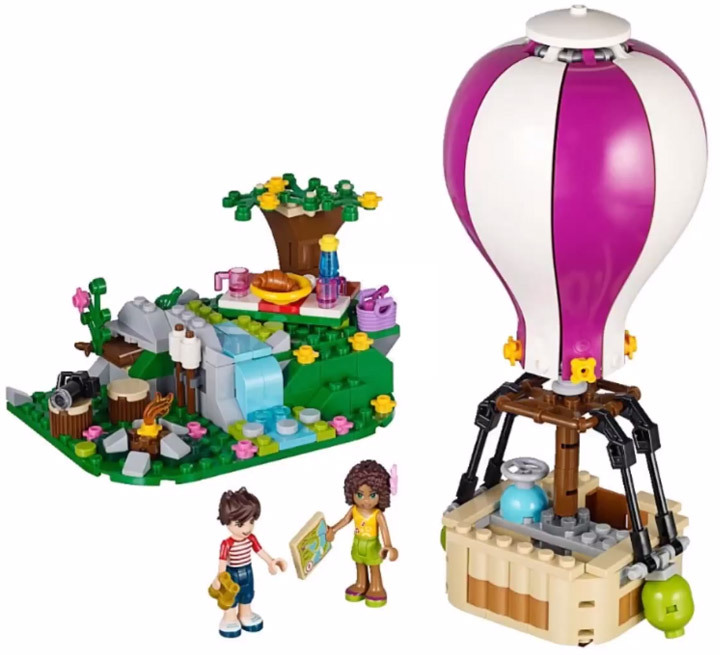 Finally there is Lego Friends, Heartlake Hot Air Balloon (41097) which might be the most interesting set released. Check out that balloon, it looks like it has a lot of uses other then intended. It will be interesting to see where these pieces will turn up. A whole lot of new Lego sets have been revealed. 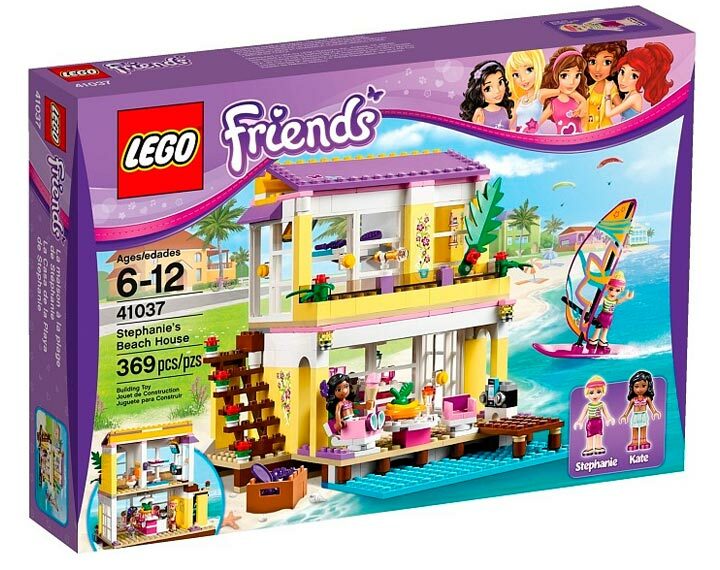 Including seven new Lego Friends sets for 2014. Between these, and the new Disney Princess theme, the Lego Friends section is going to very popular next year. Besides these, there will be a variety of smaller sets that have not be announced yet. The main theme for this release seems to be focusing on outdoor activities. 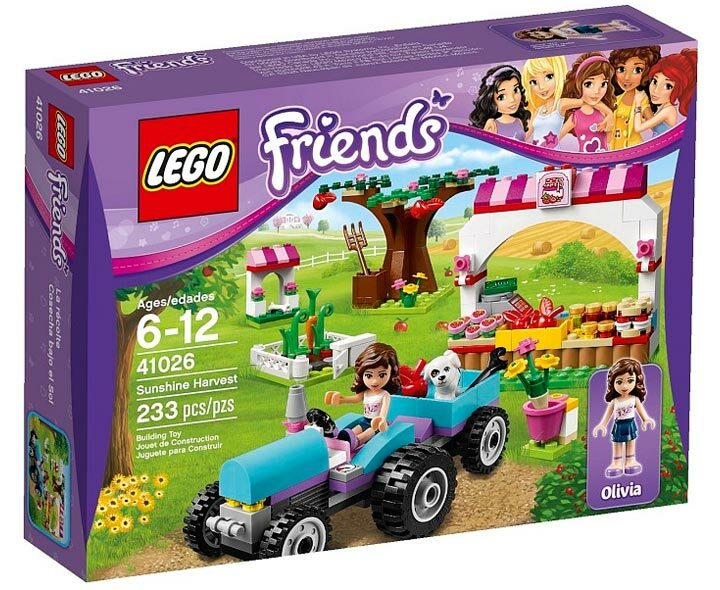 Lego Friends Sunshine Harvest (41026) features a variety of farming stuff, including a tractor, garden, orchard tree, and roadside stand. Plus a cute dog. Lego Friends Mia’s Lemonade Stand (41027) features one of those new Lego scooters, and an elaborate lemonade stand, which seems to take $100 bills. Lemonade sure is profitable in the Lego universe. Lego Friends Emma’s Lifeguard Post (41028) features a lifeguard tower, and a cute dolphin. Lego Friends Stephanie’s New Born Lamb (41029) features a tiny lamb, and a shearing shed. It looks like Stephanie and her lamb have won a few awards. 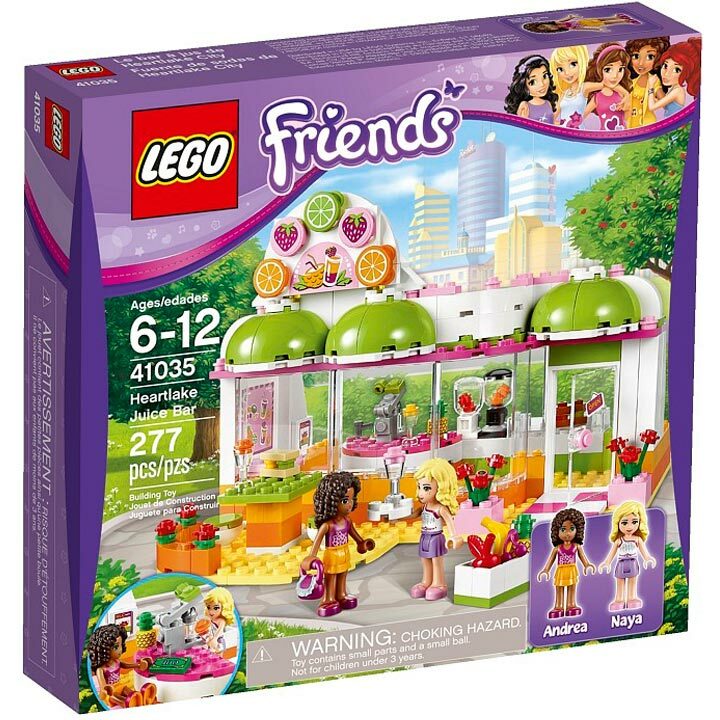 Lego Friends Heartlake Juice Bar (41035) is a pretty large juice bar, which has purple cherries, and pineapples. Lego Friends Stephanie’s Beach House (41037) is a lovely yellow house. It comes with a wind glider, and what looks like a smartphone dock. 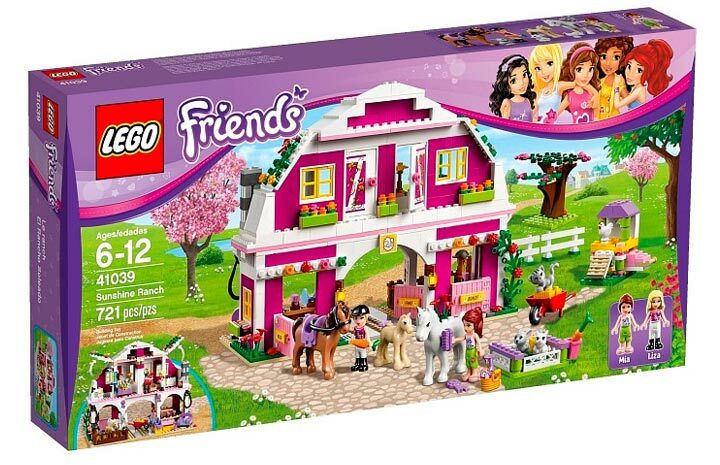 Lego Friends Sunshine Ranch (41039) is the mega set for the release. This ranch includes a pink barn and comes with a variety of horses, cats, chickens, and other animals. 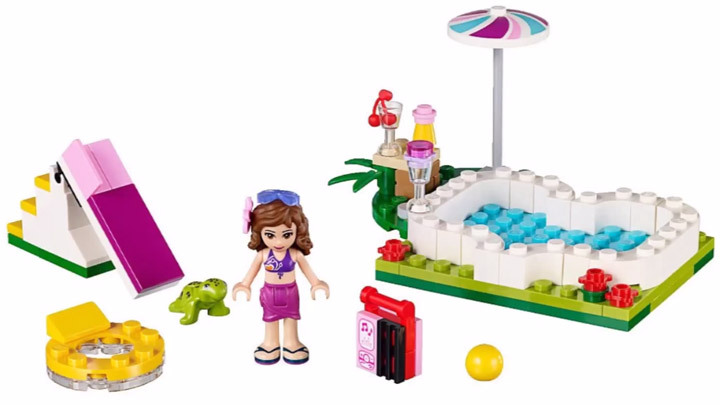 These new Lego Friends sets will be released in 2014, and it looks like they will be out in the spring or summer. The new Lego Disney Princess theme is also being released soon, so keep an eye out.